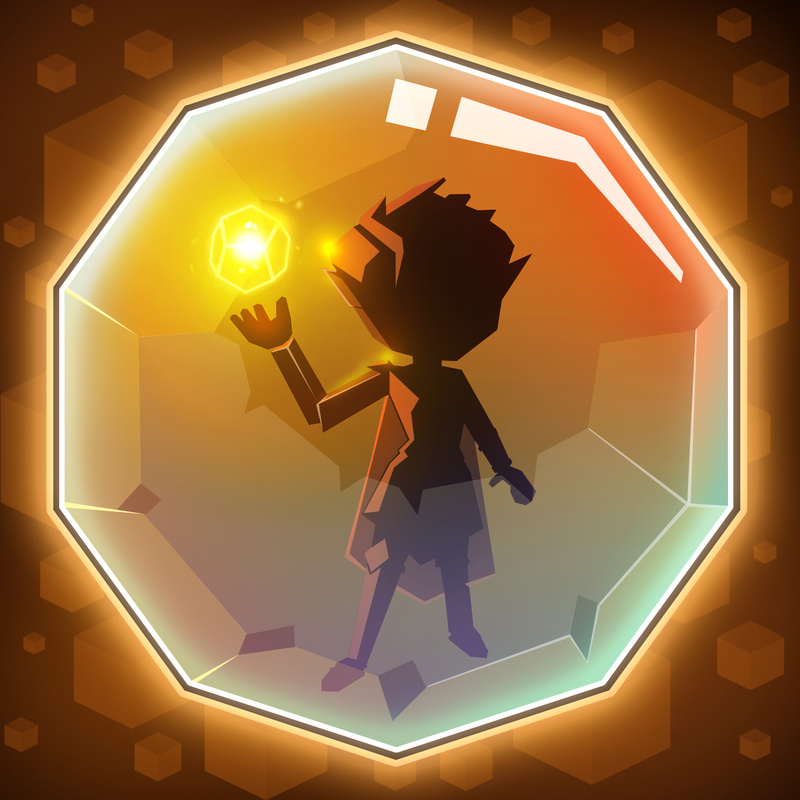 Welcome to the 3.5 Portal Quest update! We have a new chapter, new heroes on all the servers, and loads of bug fixes! 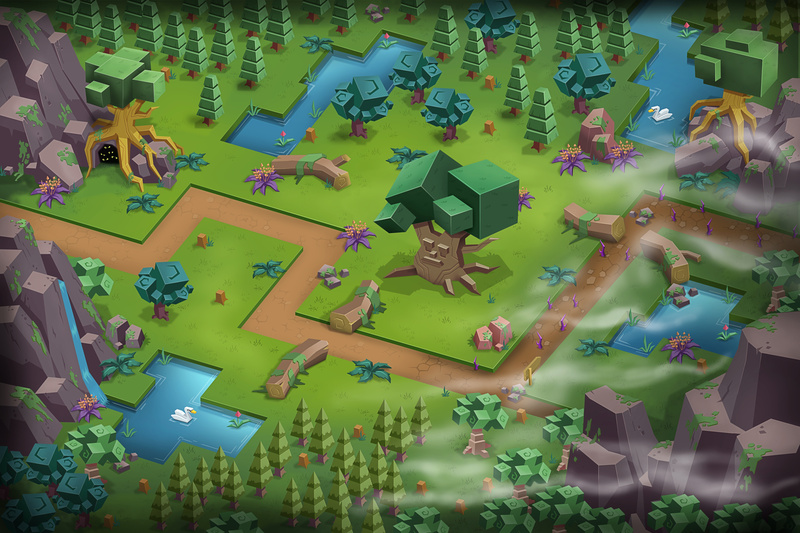 Our Heroes come across two paths diverged in a forest…and take the spooky looking one, of course! They find themselves in the woods that Willow Druid grew up in. Willow excitedly introduces the Heroes to her oldest friends, who kind of turn out to be jerks. Will Willow succumb to the taunts of her “friends” or will she finally be able to defend herself? 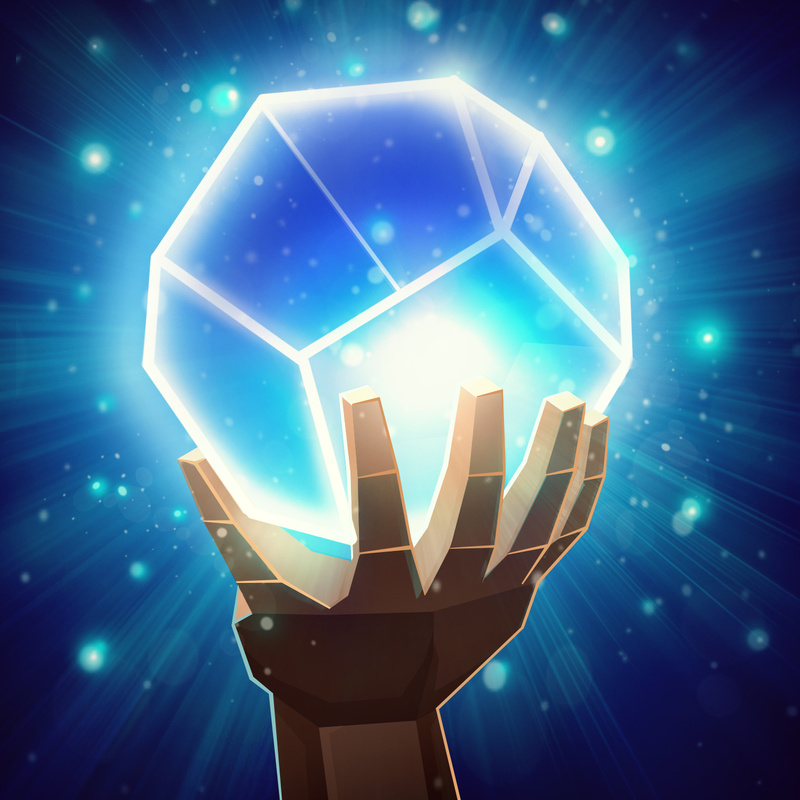 There are some who say that Crystal Cleric has not utilized all of her orb’s true powers. To these people, she offers a kind smile, and nothing more. 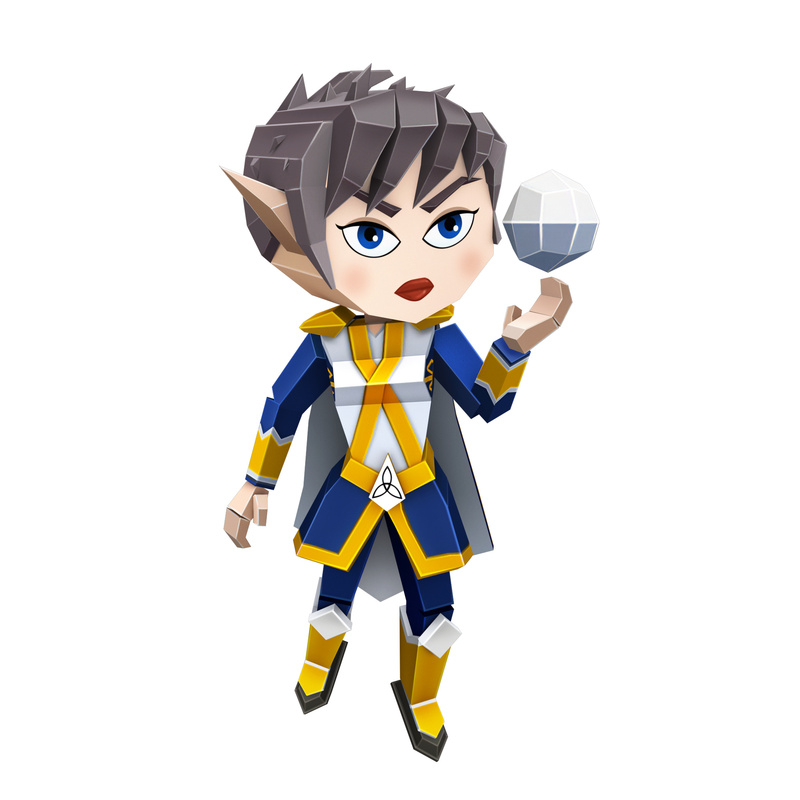 Crystal Cleric is a Back-Line Support Finesse Hero who will be in the Gold Chest on servers 1 and 4. Crystal Cleric emits a Holy Nova that hits all units in combat. Allies get healed for a percentage of their Max Health while enemies take damage. 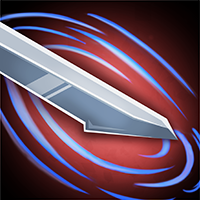 Gains Energy when killing an enemy. Crystal Cleric targets the unit missing the most health in combat. If it’s an ally they get healed for a percentage of their Max Health, if it’s an enemy they are dealt damage. Crystal Cleric cannot target herself with this skill. Instead of dealing damage to enemies, this Hero’s basic attacks now target their ally missing the most health and heals them. If nobody needs healing, or this Hero is the last one standing for its team, it will basic attack enemies as normal. All who are encompassed in this aura may breathe a little easier. At the beginning of battle, Crystal Cleric emits an Aura of Protection for her entire team. This Aura prevents her entire team from being Cursed, Silenced, Charmed, or Possessed for a time. 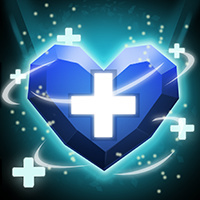 Additionally, Holy Nova’s heal is increased and it deals extra damage to enemies. Chapter 25: Sparkle Sunshine Panic! New Boss Dungeon: Grave Wraith! 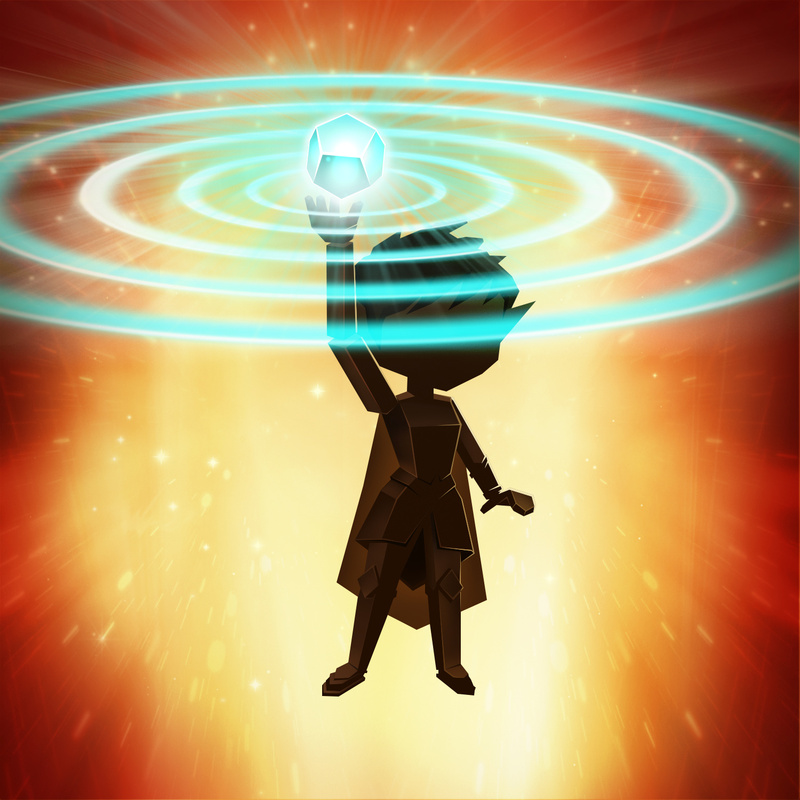 We are removing a large amount of the starting energy granted from Support Essences and shifting that into bonus % Aspect Damage. We agree that Support Essences were getting out of control and this change should bring them in line so that they still feel impactful but not overbearing. We heard feedback from players that they wanted a version of the default hero skins with stats. We’ve added Classic Skins for every hero in the game to the Cosmetic Chests. These skins give the same base % Aspect Damage Bonus that Hollow skins grant. New Daily Quest to earn 3000 Guild Scrip from donations to the Guild Shop. Returned energy bars to the Fortress. We plan to release this update on Wednesday, April 17. Woot! Woot! Patch notes monday!!! I think you’re not quite taking the values into account correctly. By .5% they mean half of 1% so at that tier even if you had 5 of them you’d have an extra 2.5%. So 25% only becomes 27.5%. Any chance we could be able to see the honor items in our inventory? Having to unequip them to be able to see the lower level ones, so that we can add ex is annoying. It would be really nice to just be able to see them somewhere so we can level them up. Just make sure you have experience when the cap raises . When you go to add the next tier of essences, level the old ones up on the hero. Please don’t flood the essence tab on the items screen with equipped essences per blue. P.s. patch notes are fab. That make more sense. My bad. Lol. My thoughts, hmm. PB is destroying S1. Already destroyed S3 when you merged it with 1. Now you’ve added new hero’s just last month, and the month b4 that we cant even get started, even havent gotten accustomed to the skills, but yet you add another toon, ANOTHER cap raise (which most ALREADY cant afford the last one), and oh, did I mention your killing S1 even faster. Guess next itll be a merge with S4 so you can kill that one too. How about this, leave the dag blasted server alone for a couple months, let the players try to catch up and get used to the new toons, get their $ up because it seems that’s all this is about now. You’ve taken the fun out of it with all the $ that has to be spent and the last few ridiculous contests did absolutely nothing but make members have to spend what they already had just to turn around and have to buy more for your next cap raise and new toons. REALLY ! I guess it is all about $, I’ve spent my share, check my accounts, alot in fact, and the server is going to the bottom in a hand basket so to speak. this last weekend was one of funnest I’ve had playing the game just saying ! Also, you seem to have a typeo in the support essence section…unless you meant for r + 4 to give a larger bonus than r + 5 gives. Cap raise and new hero. Two or more new heroes. Has been in place for months now. Not sure why this is suddenly an issue. Yes, every level upgrade is harder to reach than the last one. You don’t have to max all your heroes on day one to enjoy playing the game. You don’t have to be in the top ten. If that was the case, then why are 99% of the people playing this game ? Had been in place for months now. The return of dungeon contest was well received by lots of players (and whinged about by people that didn’t want to spend time , you know, actually playing the game lol). This is how portal quest works right now. Change is coming in August. But these basic patterns seem fixed in stone. S7 is “fine”, but expect it to merge with S4 soon enough when it hits crisis point. Devs make games to make money. Keeps the spending options hidden to a red dot on the bottom right hand corner of the screen, and an easily ignorable option in the daily tasks screen. It’s doing lot of things right, alongside the occasional missteps. As usual @Pixie_Mici is on the spot. The last 9 month that I remember where always like this. I started on S3 and outsite the 2week rush that we goat to level on S1 before the merge. The game is been like this. And in general we are getting los of good stuff and game improvement each month, but big changes like each 2 month. And as I see S1 now is pretty healthy as a server. If you look on the top 12 guild there are all pretty Balance. Even with the upgrade skill of the new heroes that bring on the game. If you look at the most use heroes for war Royal. Like 70 or 80% are using the old heroes. I am normally concern about balance on the game. And this looks to be in the correct path. The important is to have fun. There is so many ways an part of the game that player or even guilds can focus to have a great time. I will say this, I never once complained about bug fixes, never once complained of the play of the game, obviously I wouldnt be voicing an opinion if I didnt think it was worth saying. I too have been in this game for well over 2 years, and with 2 guilds now that I enjoy very much, as well as playing the game. It’s now another cap raise which we just had one that alot of people cant catch up to and now have to do more. Yes the game is free, but to stay competitive, to stay in a current ranking guild, to recieve the perks of being ranked and in a ranking guild, a competitive one, $ have to be spent. So by no means am I downing the game, in fact I’m kinda addicted to it, and I see the frustration in many guilds, members, " pocket books ", etc. So please, next time someone decides to bash me for voicing, as this chat is designed to be for, read a little closer and dont jump to conclusions b4 knowing the reasons, some things are just better left unsaid, right ?